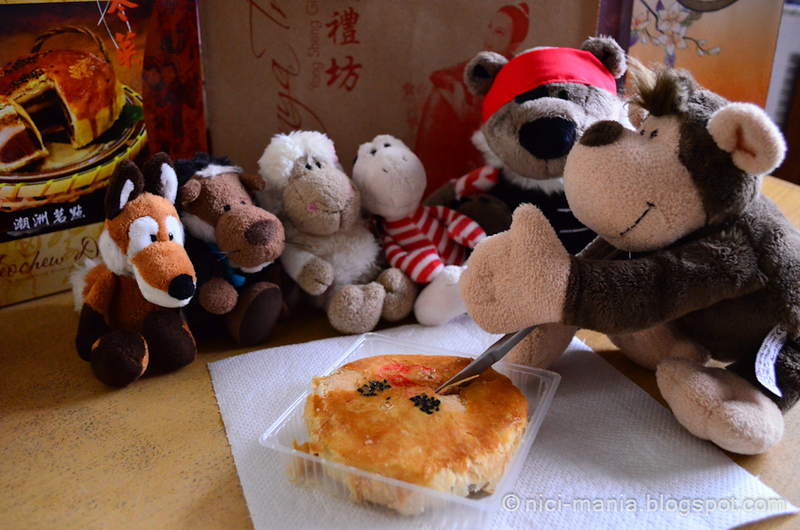 Yesterday was Mid-Autumn Festival, we also call it Mooncake Festival or Lantern Festival. 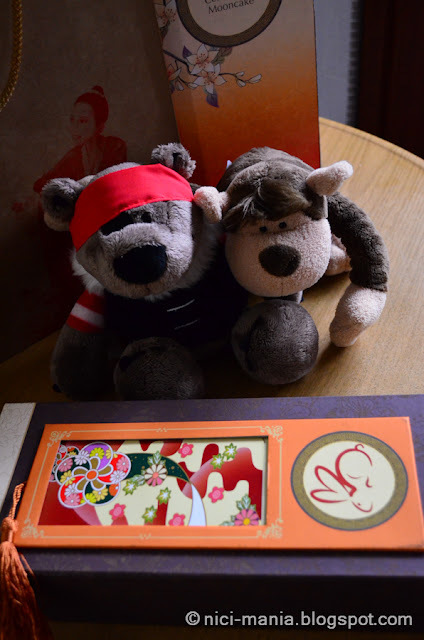 We did not have time to go out to celebrate with lanterns hence NICI monkey brought home a box of mooncake as solace. NICI Monkey came back with Pirate Bear joyfully unaware of what has happened.. 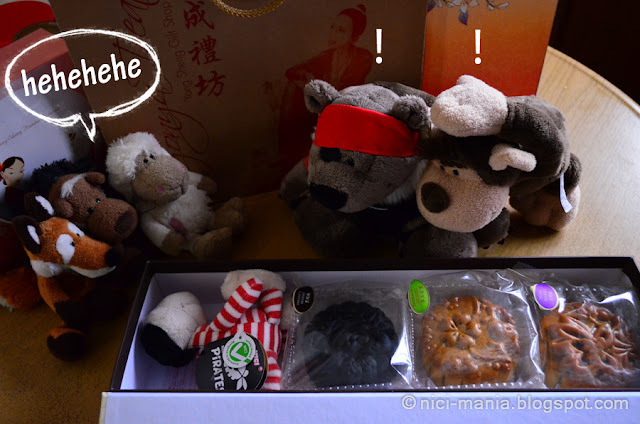 The 4 cheeky NICI plush had already eaten one of the mooncakes and replaced it with pirate gecko! 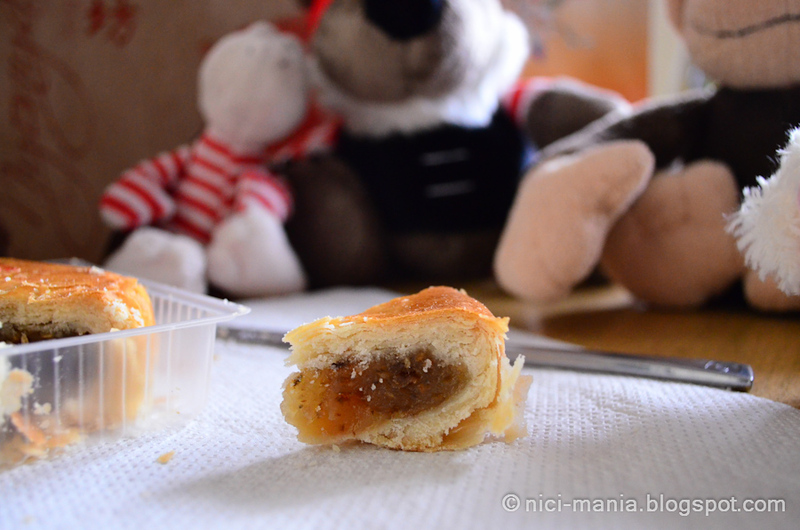 Okay now, how can Mooncake Festival be without mooncakes? 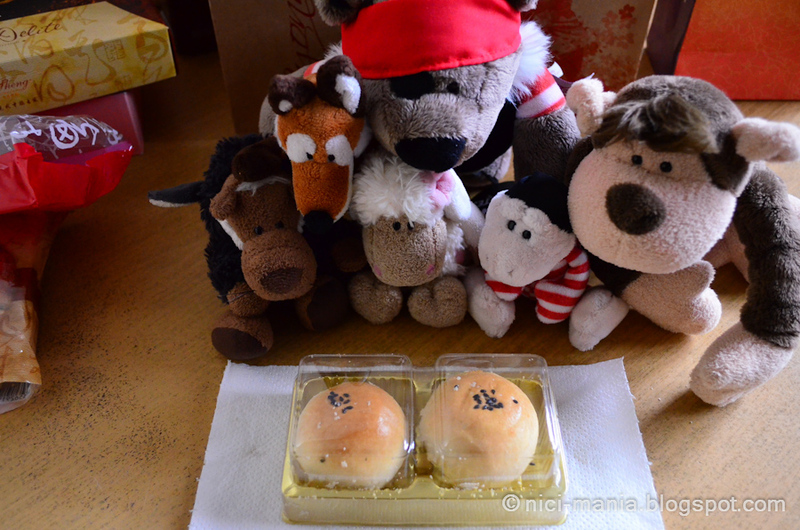 This is our favorite type of mooncake that we buy every year. The salted egg yolk mooncake. Next we wanna introduce something different. 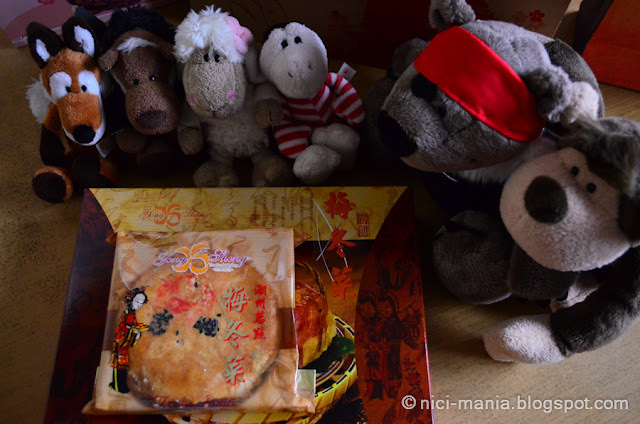 This is not a mooncake, this is Teochew biscuit (潮州朥饼), the pickled mustard vegetable flavor. 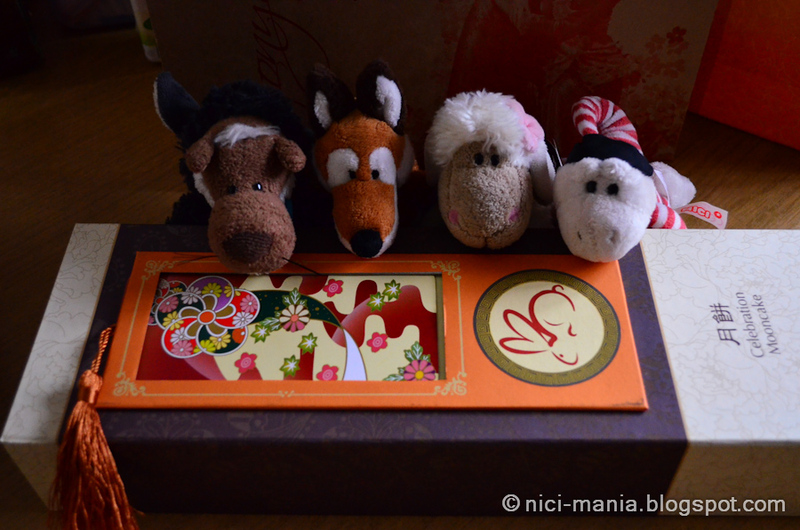 Although not a mooncake, the Teochew biscuit is a part of the mooncake festival too. You don't really see pickled mustard vegetable inside but the taste is there and this is delicious! 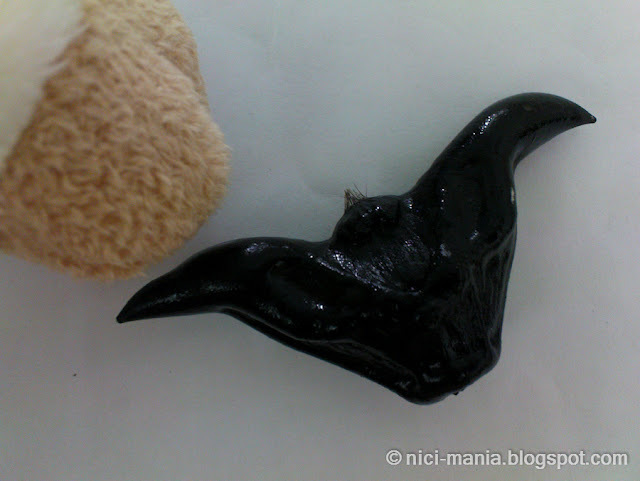 In front of Jolly Elsa, this might look like a minotaur or a devil's horn or bull's horn. 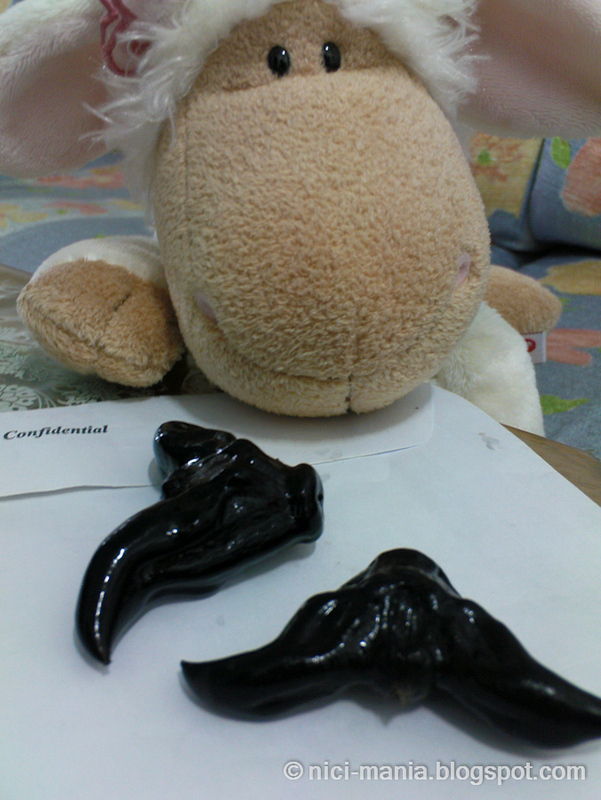 In Chinese this is called 菱角, in English is Water Caltrop. Don't be fooled by its appearance, water caltrop is a traditional food for Mid-Autumn/Mooncake Festival. Water caltrop is cultivated in China and harvested during the fall (autumn). 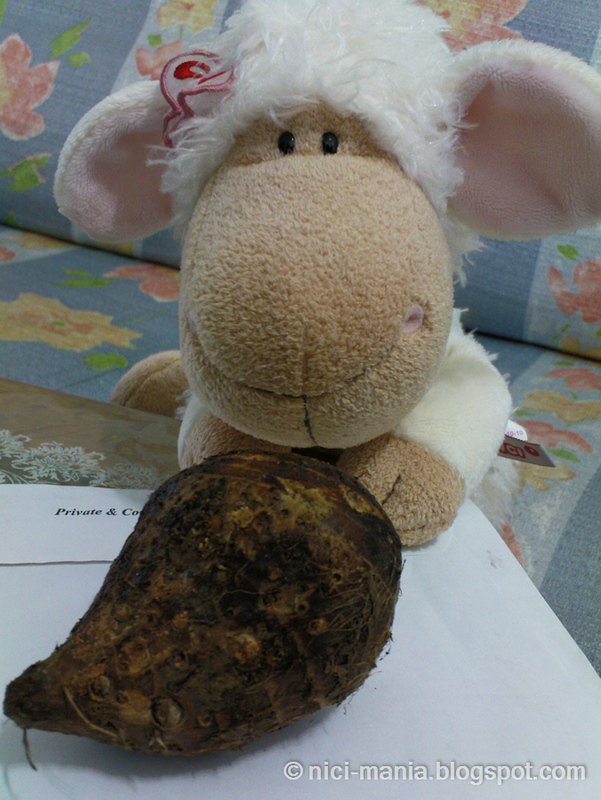 菱角 or Water Caltrop taste like water chestnut when boiled. The black shell is very hard, you have to crack it open like you crack a crab. Jolly Elsa finds it very amusing. Next, is a little Yam in front of Jolly Elsa. 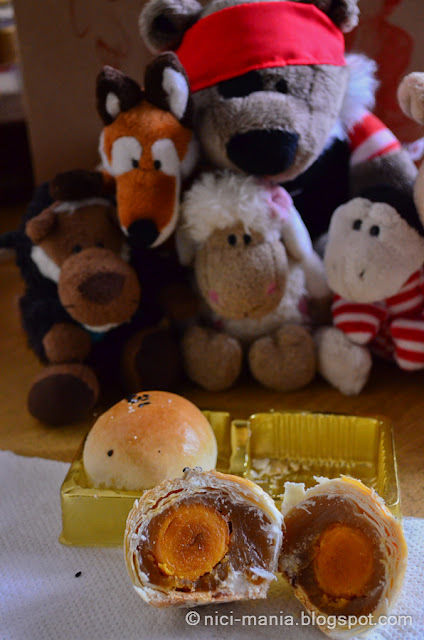 Yam is another traditional food for Mooncake Festival. 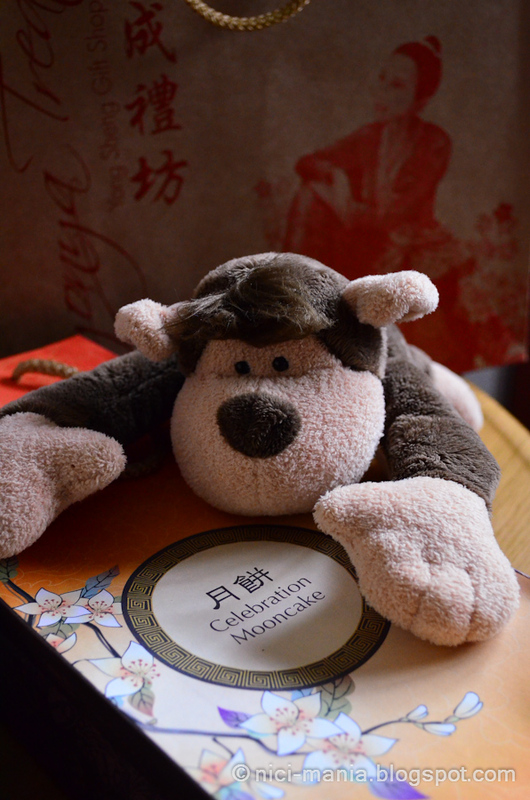 Sweet pomelo is the grapefruit of the Chinese and another traditional food that we eat for Mooncake Festival. There you go, water caltrops plus yam plus sweet pomelo! These traditional food are used as offerings to the Moon Goddess during mooncake festival. I love pictures, seeing them makes me hungry hahaha. Elsa sure seems to enjoy all these foods. I have never heard of mooncake before. Do you make it yourself as well? YUM, those moon cakes look delicious!! !